Learning you are expecting is one of the most wonderful parts of being a parent. From the time you learn you are pregnant, you’re going to start thinking about where they’re going to rest their heads a few short months from now. And since they’ll be leaving the ultimate natural surrounding, anything less than an environmentally conscious nursery just seems wrong! But that’s exactly what many manufacturers provide in furnishings and products for nurseries and items intended for use by children; in this case, the major offender is volatile organic compounds. Harmful VOCs abound in paints for walls and furniture, wood stains and even plushy rugs and carpeting. And even when items are listed as “zero VOC” or “VOC free,” the bottom line is that these nasty substances are impossible to avoid completely. Fortunately, all hope is not lost! 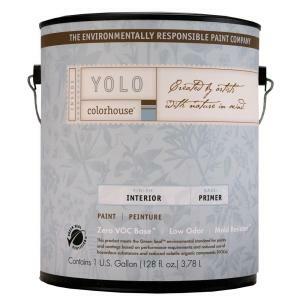 There are paint manufacturers out there who are more environmentally responsible. And there are ways to work around the harmful toxins in other aspects of your children’s spaces by simply selecting alternative materials. Here are a few smart ways to create toxic-free spaces for the newest members of your family that will last long after they’ve moved out of their cribs. To minimize the harmful effects of off-gassing as much as possible, select paints for your walls and furniture that are clearly marked ‘non-toxic’ and that are backed by an unbiased third party (the EPA’s stamp of approval is a pretty good one, to be sure). When it comes to walls, although you may be tempted to go with a shinier surface, paint finishes with some amount of sheen tend to work best on blemish-free surfaces. If you have any sort of “character” in your surrounding walls, opt for a washable matte finish to hide those imperfections. Tip: To ensure the longest life of your furniture as your baby grows (and starts fraternizing with the wonderful world of color…as in crayons and markers! ), paint repurposed pieces with a glossier finish so that marks and scuffs are easier to erase. When you realize that your little ones will be scooting around on the floor before long, you start to take into account what type of materials they’re digging their little fingers and toes into (which inevitably find their way into little mouths…) and that will be so close to their sweet faces. Opting for a natural fiber like wool is a great choice, not only for your pint-sized people, but also for the environment. Wool is 100% sustainable since it fully replenishes on an annual basis. Plus, you can find fully affordable options, but even if your favorite is a bit pricier, you can justify any added costs by selecting a pattern that is versatile enough to grow with your child into their big boy or girl room rather than one with a nursery-specific theme. Tip: New wool rugs have a tendency to shed fuzzy fibers for a few months, so make sure you invest some fairly regular vacuuming sessions before Junior arrives. But if you place it in the nursery pre-baby, you will have plenty of time to vacuum in the months post-baby before he spends any time directly on the rug. When selecting your window treatments, consider not only the material used in their construction but also the purposes they are supposed to serve. 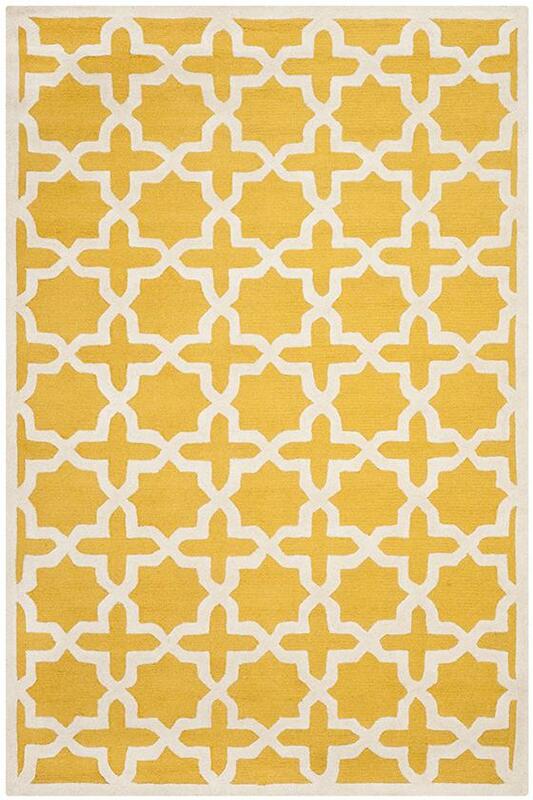 For example, some materials are more eco-friendly than others – you can’t go wrong with natural weaves like cotton. Whenever possible, stay away from synthetics and highly processed products. At the same time, one of the main functions of window coverings is to provide a way to block out the sun during naptimes. 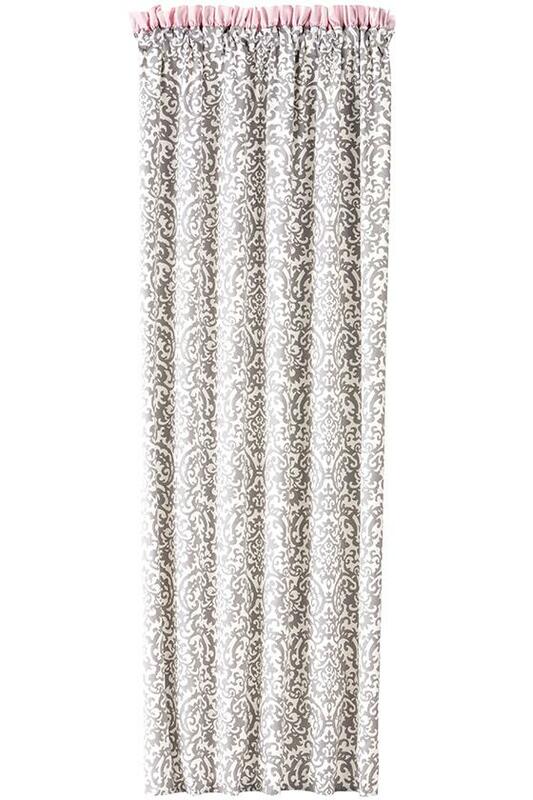 Tip: Go with drapery that has a reflective light-colored backing. Not only does this effectively keep out the sun’s blinding light when your baby is trying to get some shut-eye, but it also bounces the heat from the UV rays back out into the atmosphere where they belong. This results in more energy-efficiency for the entire room – cooler summers and warmer winters – as well as fade-free floors and fabrics! 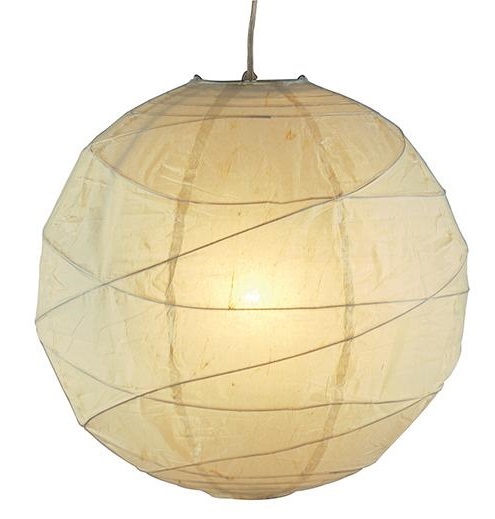 While we’re on the subject of light, you can really up the eco-friendly factor by looking for lighting that satisfies several earth-embracing qualities. 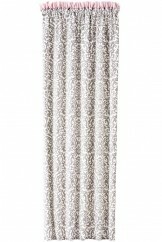 Its decorative design makes it perfect as your wee tykes transition out of the nursery. What are some of the other bright ideas you’ve come up with for fabricating a non-toxic and eco-friendly nursery? Jay Harris is a Home Depot store associate in the Chicago area, where he has been helping customers since 2005. 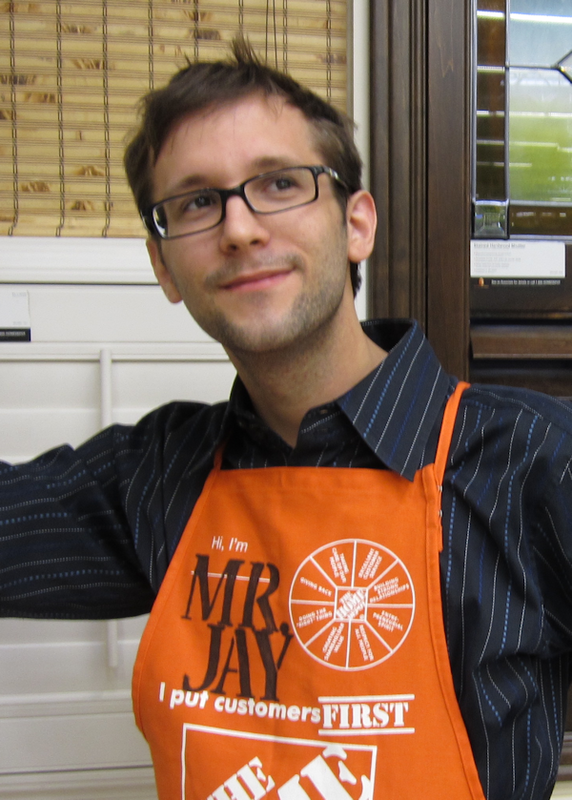 Jay is also a contributor to Home Depot’s Home Decorators.com website. He enjoys providing home decor furniture advice to parents and other homeowners, as well as tips on area rugs and other floor coverings.